The exotic taste and crunch of the Anjani Sweets' boondi laddu melts into our tongue giving us sweetness which is just about perfect. Unlike most other boondi Laddoos, the sweetness in the Anjani Sweets from Chirawa doesn't make our tongue heavy just after one piece; instead, the sweetness is so accurate and subtle that it makes us want more of it. 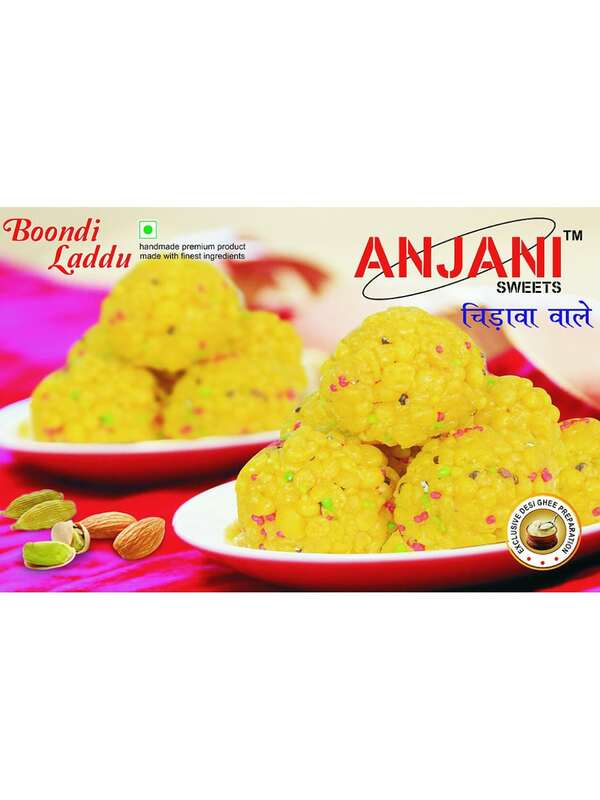 Made from Besan, sugar, Ghee, cardamom, saffron, and various other dry fruits, boondi ke ladoo is one of the most loved items from Anjani Sweets, Chirawa. 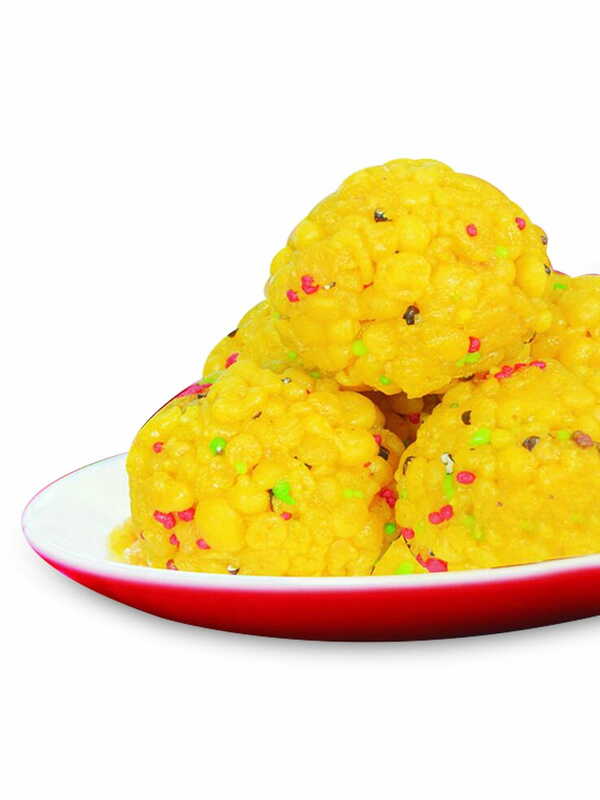 Anjani Sweets from Chirawa, Rajasthan, is a famous name in the era of sweets due to its quality, purity and neatness. They make traditional sweets in Shekhawati Region.They have worked very hard since its origin to reach where they are, being famous for desserts mainly, Chirawa peda and laddoo, throughout the nation. Ingredients Besan - Pure Ghee - Cardamom - Saffron - Sugar & Dry Fruits.